Pinty general purpose of a weighted vest is to add extra weight for body-weight exercises, walking, distance running or speed, agility and quickness drills. It greatly improves functions of your body. 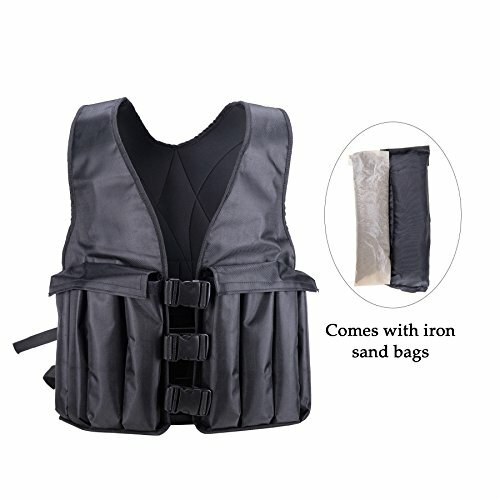 Made of sturdy oxford fabric and filled with iron sand, this brand new weighted vest is perfect for you to work out with. The weight is adjustable at 1.2lbs to a max. weight of 20lbs. Wear one for your next workout! If you have any questions about this product by Pinty, contact us by completing and submitting the form below. If you are looking for a specif part number, please include it with your message.